WSBE Rhode Island PBS presents two special programs next week to commemorate Veterans Day. 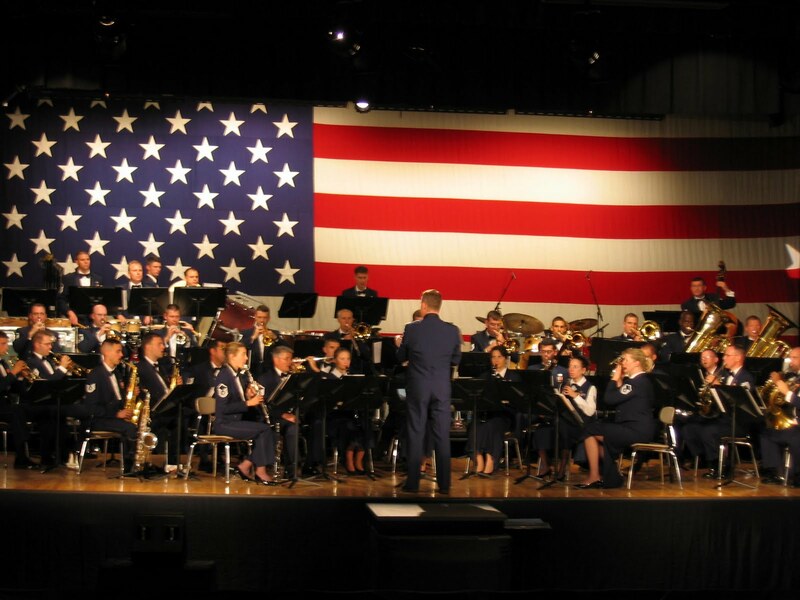 On Monday, November 9 at 10 P.M., watch the UNITED STATES AIR FORCE ACADEMY BAND: A SALUTE TO OUR VETERANS. Filmed locally, this prestigious concert band performs many of the John Philip Sousa's marches, as well as patriotic favorites, like "God Bless America" and "Battle Hymn of the Republic," exclusively for this television program. Other featured songs include "Rocky Point Holiday" composed by Ron Nelson, who was inspired to write this song after his visit to Rocky Point Park in Warwick, RI; Glenn Miller's "In the Mood"; and a "Gershwin Fantasy." The concert was taped on July 2, 2007 at Mount Hope High School in Bristol. Rhode Island Governor Donald Carcieri, United States Senators Sheldon Whitehouse and Jack Reed, and US Representatives Patrick Kennedy and Jim Langevin introduce different songs throughout the program. On Veterans Day, November 11 at 10 P.M*., WSBE Rhode Island PBS premiers NAVY HEROES OF NORMANDY, the latest film from Rhode Island's Tim Gray Media. The one-hour film chronicles the building and dedication of the first ever monument in Normandy honoring the United States Navy’s role on D-Day. The documentary recently made its international debut in Normandy, France during D-Day 65th anniversary ceremonies. NAVY HEROES OF NORMANDY features the personal stories of navy veterans - many of whom are from Southern New England - who took part in Operation Neptune-Overlord on June 6, 1944. Also included are interviews with French residents of Normandy who lived through D-Day, as well as the son of famous German Field Marshal Erwin Rommel, Manfred Rommel, who was home with his father in Germany when the call came in that the Allied invasion of France had begun. The film is a follow-up to Tim Gray Media’s Emmy Award-winning first film, D-Day: The Price of Freedom, released in 2006. Thursday, November 12 at 4 A.M.
Friday, November 13 at 2:30 A.M.
Saturday, November 14 at 7 P.M.
Sunday, November 15 at 11 P.M.
Tuesday, November 17 at 10 P.M.
Wednesday, November 18 at 5 A.M.
Thursday, November 19 at 2 A.M.
NAVY HEROES OF NORMANDY is the first locally produced full-length High Definition (HD) program aired by WSBE Rhode Island PBS. Find WSBE Rhode Island PBS over the air on digital 36.1; Cox/Verizon/Full Channel 08; DirecTV 36; Dish Network 7776; ComCast subscribers, please check local listings for the channel number in your area. WSBE Learn broadcasts over the air on digital 36.2; Cox 808; Verizon 478; ComCast 294.